The recent report by the National Bureau of Statistics (NBS) that the value of electronic payment services increased by 32 per cent to N138 trillion in the fourth quarter (Q4) of 2018 is cheering. This indicates that a lot of people have adopted e-payment for goods and services. In the 2018 Q4 review titled: “Sectoral breakdown of Credit, e-Payment Channels and Staff Strength”, the NBS report showed that in 2017, the value of e-payment transactions was N104.6trn, while the volume of transactions rose by 6 per cent to 2.11 billion in 2018 from 1.5bn in 2017. This means that in 2017, e-payment struggled to make an impact as a result of recession that caused economic contraction for four consecutive quarters in 2016. But, in 2018, e-payment transactions shot up significantly by 32 per cent. 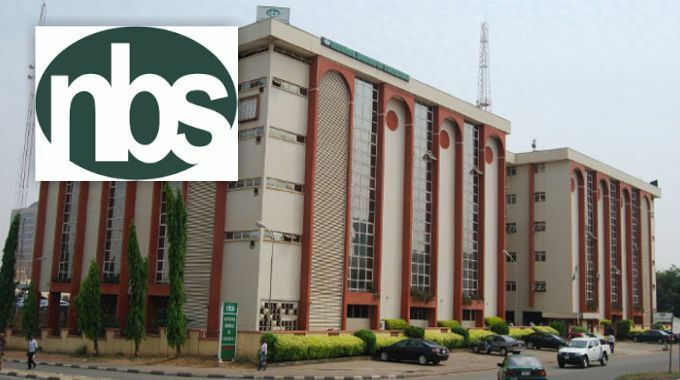 The report also revealed that the NIBSS Instant Payment (NIP) dominated the e-payment transactions, which accounted for N80.43trn, representing 31 per cent of total volume of transactions. Within the period under review, the report also showed that Nigerians withdrew N6.5trn through Automated Teller Machines (ATM) in 875 million transactions. In a quarter-by-quarter basis, the NBS said a total volume of 457.22 million transactions valued at N32.48trn were recorded in QI 2018,while in Q2, 2018, 509.67 million transactions valued at N32.90trn were recorded, and in Q3 2018, the volume of transactions recorded via ATM was 220.27million valued at N1.593bn. In the last quarter of 2018, a total volume of 616.52 million transactions valued at N39.15trn were recorded. We welcome this development which will boost the government’s cashless policy. While we appreciate the preference of many Nigerians for e-payment transactions, we call on the banks to map out strategies to check the rising cases of e-fraud in the sector which had led to huge losses to the banks and depositors. Between 2000 and 2014, the Central Bank of Nigeria (CBN) said over N200bn was lost to e-fraudsters. That amount reportedly tripled between 2015 and 2017. According to a recent security assessment of Nigerian banks, e-fraudsters have become sophisticated and sometimes beat all processes and internal controls put in place by the banks to safeguard customers’ deposits and financial data of the banks. In the last four years, e-fraudsters deployed over 185 fake mobile applications on the websites of at least 15 commercial banks and tried to extract customers’ personal and financial information. Some years ago, the CBN raised alarm that the banking industry was threatened by cybercrime defacement attacks from e-fraudsters. In 2013, there were 855 of such attacks, which led to the loss of N19.15bn. In its 2014 Annual Report, the Nigeria Deposit Insurance Corporation (NDIC) showed that between 2013 and 2014, fraud on e-payment platforms increased by 183 per cent. This poses a serious threat to the sector. Indeed, while it is cheering that many Nigerians are e-payment compliant, the banks should establish the e-fraud risk information centre. It will be recalled that in 2016, the apex bank said it planned to set up an e-fraud risk information centre in collaboration with the Chartered Institute of Bankers of Nigeria (CIBN). Unfortunately, the economy is reportedly losing about N127bn annually to cybercrime in the banking sector. We believe that if the e-fraud risk information centre is established, it will enable the banks combat e-frauds. Considering the vital role of the banking industry to the economy, efforts should be intensified to check e-fraud. The solution should be multifaceted. It should include the training in anti-hacking operations. There is need to also strengthen the banks’ internal control system. In all, the banks’ regulatory authorities are expected to do more to boost public confidence in the sector. There is no doubt that more people will embrace the e-payment channels once they are assured that such platforms do not put their money at risk.